The 109 EXTRA is an extra-wide full-featured barber chair specially produced for Jeffco that measures an extra-wide 22 1/2" between the arms. 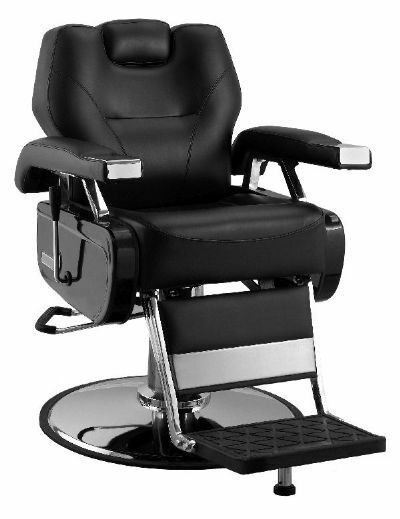 Reclining back w/ control on right side, adjustable integral headrest for shaves, kick-out legrest for comfort, chrome plated hydraulic base for longevity. Black upholstery; available for immediate shipment.